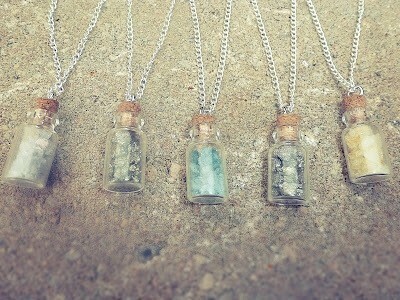 These necklaces sure do Rock! (pun intended). I am really excited about this next DIY tutorial because I got to smash things to pieces with a hammer! This was so incredibly fun for me because, well seeing rocks explode is fun! But I wasn't just destroying pretty rocks for nothing, I was putting them to good use. 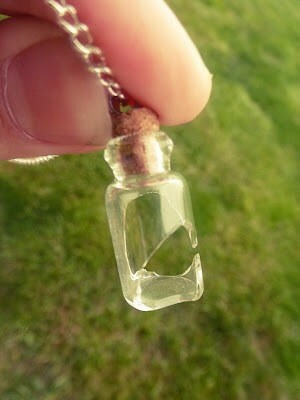 I had a whole bunch of pretty crystals that would be perfect to sparkle in the light around someone's neck! You will need those little glass tube charms that they sell at any craft store. I just found the ones in my crafts store which were at the very bottom of the jewelry shelf, all dusty and old. But for about $1.50 each (two came in a pack). I soon found that they were somewhat fragile. Now go gather some crystals and rocks! The rocks I used were (from top) pyrite, also called fools gold, a home-grown crystal from a cheesy little kit, and that mystery rock that I found in my rock box! I don't know what its called but I will refer to it as rainbow rock because thats what it looks like :). I also made a blue and yellow necklace out of the same home-grown crystal stuff. I used those because I liked how it got really light and pastel-like! 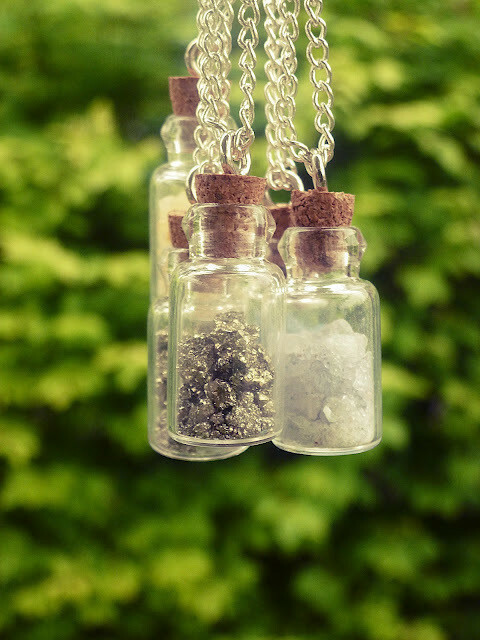 Now hang it from chain, I like the look of really thin chains so thats what I used! I've been meaning to try magnetic closure but the classic little hook thingy works well too. So with useless old rocks or crystals, you can make a beautiful necklace that will have people coming up to looking at your interesting piece of jewelry! I really like this project! 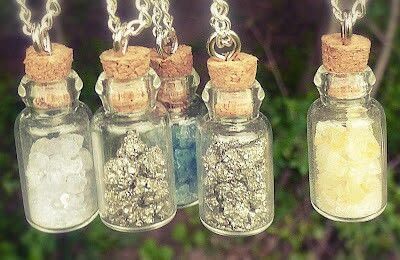 I created something similar using small glass vials, and filling them with awesome crystals I purchased on a long ago trip to the Cayman Islands. What a lovely way to showcase beautiful things that can not be strung in a traditional way.